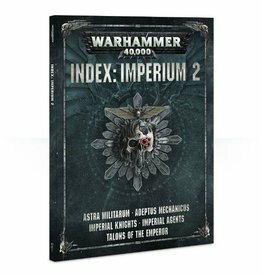 The Imperial Guard is a vast fighting formation and for its operations to go smoothly a substantial command structure is needed. The officers who lead Platoon Command Squads are charged with ensuring their Platoon fulfils the Company Commander's orders and gets the job done. Platoon Commanders are accompanied by a hand-picked team who help him fulfil his duties. The Command Squad coordinates ambushes, prioritises targets, positions kill-zones and leads the charge to destroy the enemy. 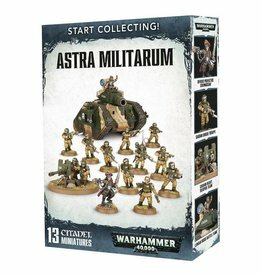 This box set contains five multi-part plastic Cadian Command Troopers. 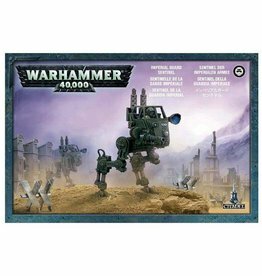 This 79-piece kit contains enough components to enable you to assemble five specialist troopers, including: an Officer, a Medic, a Special Weapon Trooper, a Vox-caster and a Guardsman with Company Banner. 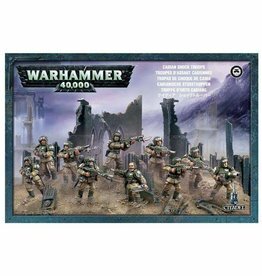 The squad can be armed with a choice of weapons including: a sniper rifle, a heavy flamer, a plasma gun, a grenade launcher, a flamer, a melta gun, a powerfist, a chainsword, a power sword, a plasma pistol, a bolt pistol and a laspistol. 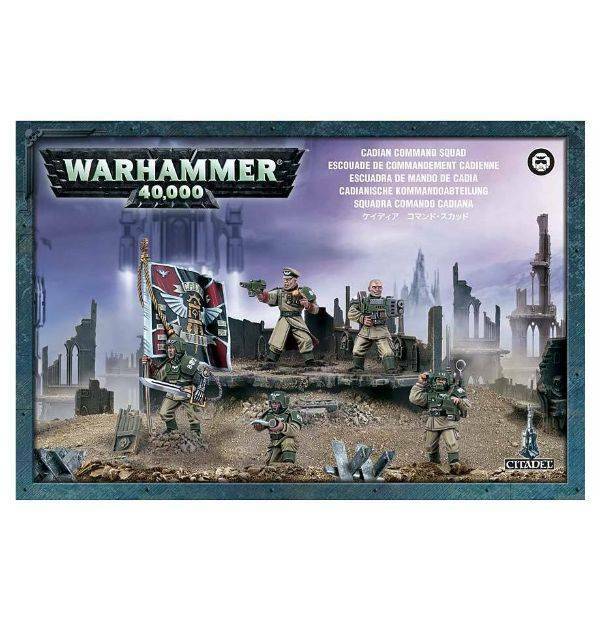 Also included are two different Company Banners, nine different guardsman heads and additional pieces to allow you to customise the rest of your Imperial Guard squads. 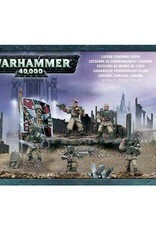 Models supplied with 25mm round bases.